Exceeding the recommended speed can represent high costs: over speed fines, increased fuel consumption, a more expensive insurance sand more expensive maintenances. A speedy driving affects the company benefits and image. 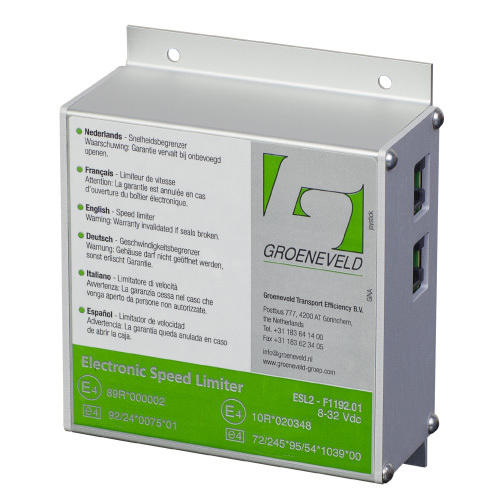 Concerning trucks, busses, vans, cars, forklifts and public works machinery, Groeneveld offers speed limiters for each situation. All Groeneveld speed limiters were developed in order not to affect the driving Comfort of the vehicle, limiting the speed without affecting engine power and torque, having in this way, all the functionalities and a proven cost savings.